So quickly – I promise! – before I get into Airbnb and my thoughts on staying in one place, let me explain. This vacation was one of the most delightful, memorable trips of my life. The Alsace region just spoke to me, you know? It will forever be one of my “happy places.” If I close my eyes and imagine myself sitting outside the café near our flat in Ribeauville, drinking a cup of rich coffee and savoring an almond croissant, the Saturday morning market bustling in the square beyond . . . . That’s a little piece of heaven for me. Maybe your happy place is hunting for shells on the beach in Clearwater or watching hummingbirds hovering around the feeder in your grandmother’s back yard. If you think about it, and if you’re lucky (I feel SO lucky! ), then you will come up with a number of places in this world, near and far, that evoke such warm memories, just imagining yourself there will bring a smile. 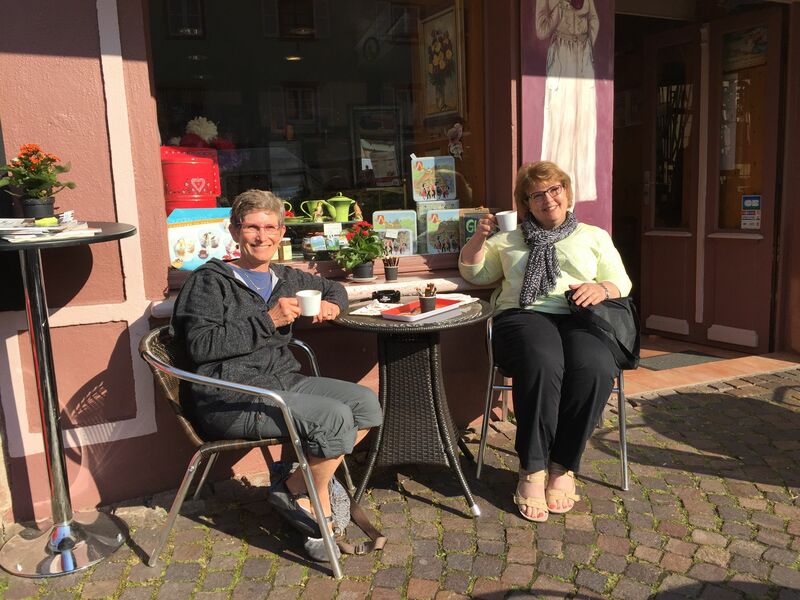 My friend Sue and I are at our favorite cafe in Ribeauville, having our morning coffee. 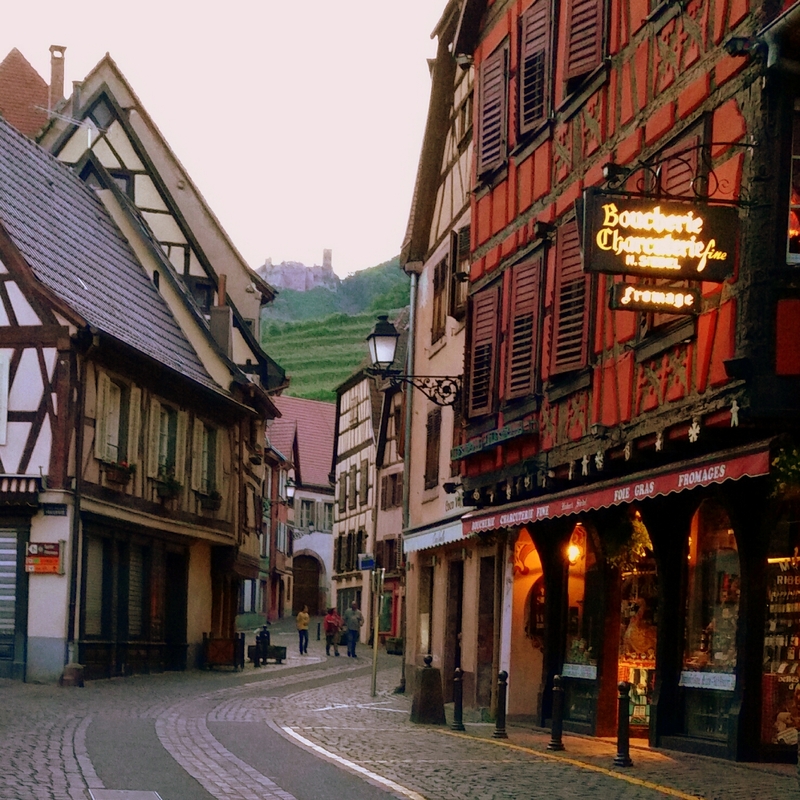 I love, love, love Alsace. That’s it. And one reason for writing this love letter is to serve as a reminder and promise to myself that one day I’ll return. So let’s talk about a vacation where you stay in one place, versus moving around a lot, either independently or with a group, on land or water. I’ve been on a number of tours in different parts of Europe and the U.K. over the years, and there are unquestionably advantages to traveling with a group. In fact, if you have not done much traveling overseas, land tours and river or ocean cruises are excellent vehicles for seeing and experiencing a lot in a relatively short period of time. Someone else plans all the details and you can relax and soak up all the new experiences. 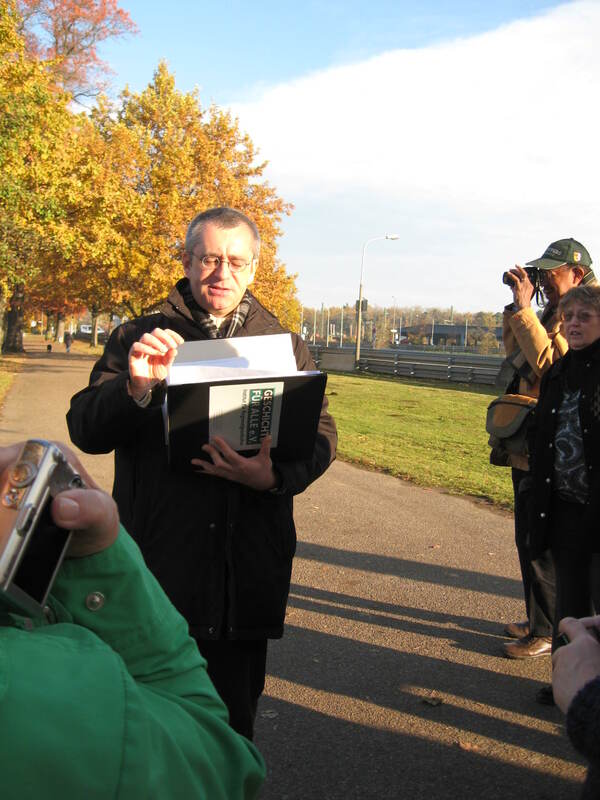 Our guide in Nuremburg was an entertaining, knowledgeable graduate student working on his PhD in history. Nuremberg was a fascinating stop on a Viking River Cruise in Germany several years ago. I will say for sure, I do learn more when accompanied by guides who know the history and culture of the place we’re seeing. I can read guide books and memoirs before I go somewhere, but it really can’t compare to hearing stories from an experienced guide who knows the location inside and out. This recent trip was just the second time I’ve rented an apartment or flat in Europe for a week or more. The first time was maybe nine or ten years ago. I found a three bedroom flat in the center of Florence for four of us, following a tour we’d taken to the Amalfi Coast and Rome. We took the train from Rome to Florence (and that was an experience worthy of the Three Stooges, perhaps for another time! ), then used public transportation to get around the city as well as for day trips to nearby cities like Siena, San Gimignano and Lucca. 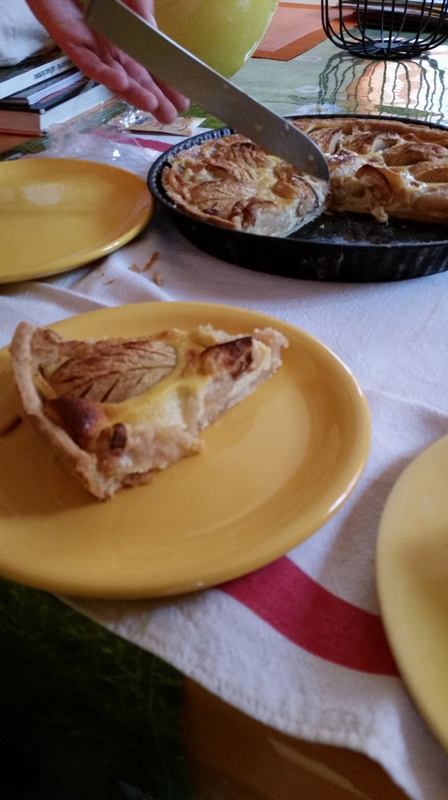 I found our flat online through Papavero Villa Rentals and I would heartily recommend this company if you’re considering renting a place in Italy. The choice to stay in Florence was pretty straightforward. 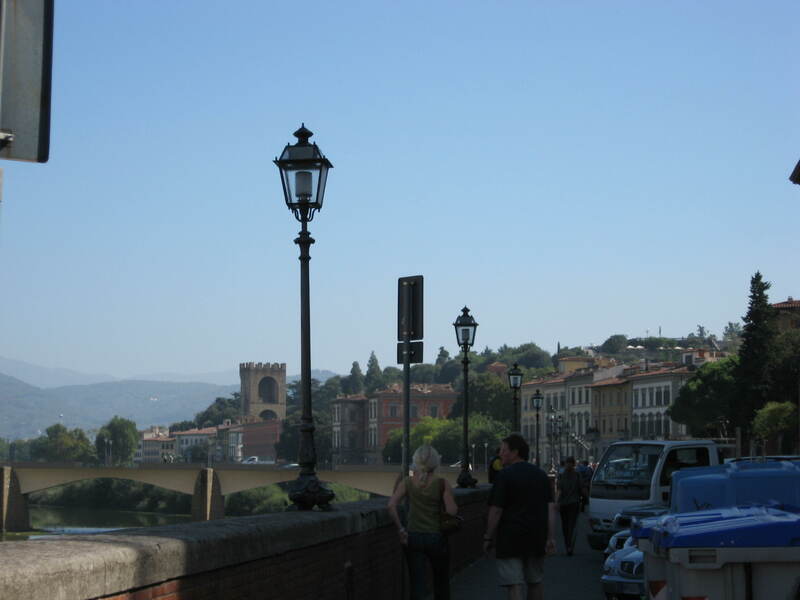 My friends and I had been to Florence before and knew we wanted to stay right in the heart of the city for what would be our second visit. Planning the trip to Alsace, however, led me from one interesting option to another as I my online investigation evolved. My friend Sue and I had settled on two basic elements for the trip. 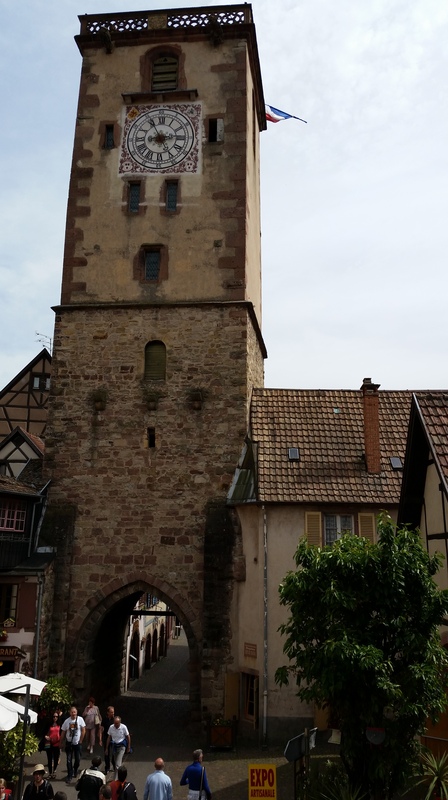 First, we wanted to rent a car to explore the area because it just didn’t look like Alsace would be easy to navigate using public transportation. Since I had read that renting a car in France was relatively inexpensive and I knew the drivers were probably not as crazy as those in Italy (this turned out to be true! ), we were pretty confident about choosing to drive. Second, since we were exploring a fairly small slice of France, we liked the idea of making one place our home base. And taking that one step further, why not rent an apartment, allowing us to spend less than we would on hotel rooms and able to economize by making some meals at home instead of eating out all the time? Rick Steves recommends charming Colmar – and it was all that and more! We originally talked about focusing on Strasbourg, which is the largest city in the region. 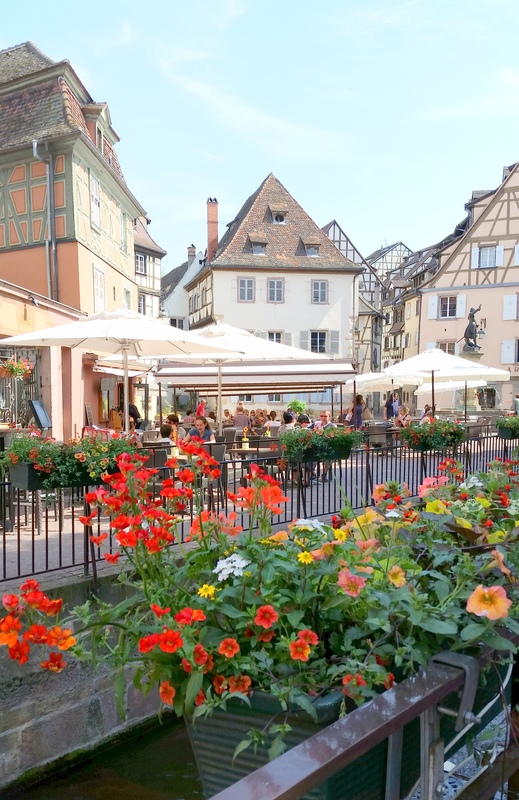 But one quiet evening a few months later, I finally watched my Rick Steves DVD about the area, and learned that Rick recommended spending more time in nearby Colmar, which is smaller but even more picturesque and not quite as touristy as Strasbourg. The video of Rick walking around Colmar was so inviting, we agreed to switch the search for accommodations from Strasbourg to Colmar. Now, I’m sure there are many smaller agencies offering rentals for tourists. Papavero, which I mentioned above, is one of them and working with them was wonderful. In fact, if I ever want to rent a place in Italy, I will certainly contact them first. But currently, two of the largest and best known international vacation rental sites (I’m not sure if they even existed when I went to Florence) are Airbnb and VRBO, or Vacation Rental by Owner. I’d had positive experiences with both . . . with cancellations, so far! I actually had booked a flat in Bruges, Belgium, through VRBO several years ago and had to cancel at the last minute when the volcano blew in Iceland and air travel came to a halt. Remember that? What a disappointment! I still would love to return to beautiful Belgium. And two years ago I reserved a little flat in downtown Brisbane, Australia, through Airbnb to visit my son. Another unfortunate cancellation. Hey. S*** happens. In both cases the landlords refunded my deposits. I was very pleased working through the two online booking agencies, as well as with the fair and kind individuals who allowed me to cancel my reservations without penalty. So a word to the wise: If you choose to rent accommodations through ANY provider – always be sure to read the fine print. What IS their cancellation policy? I never dreamed I might have to cancel either time, but you just never know what might come up. Most rentals want 50% up front at the time of booking, so – well, just CYA, okay? So anyway, now I’m looking at Colmar and there are plenty of options in and around the city center. With both Airbnb and VRBO, by the way, you can find anything from a single room in someone’s home with a shared bath down the hall (like staying at your cousin’s house or something; not sure I’d be game), to a villa that sleeps ten and has its own swimming pool. Since I’d never been to Colmar, of course, I’d look at the photos of a place, then pinpoint it on a city map, but I didn’t really know if an apartment was in a convenient and/or safe area or not. And, more often than not, parking wasn’t included and I was a little leery of trying to find a place to park on the street. Would the rental car be safe? Would we be able to park close enough to the flat? Was I still capable of parallel parking after having avoided it as much as possible over the last 40 years or so (no!)? Then I thought – DUH! – we have a CAR. We can stay wherever we want! Why, we could even stay in the country or, better yet, in a cute little French village nearby. Airbnb was full of places in towns and villages around Colmar and they were mostly cheaper, too. We hit the jackpot when we chose a rental in Ribeauville! The clock tower in Ribeauville was built in the early 1500’s. Ribeauville’s Grand Rue is the main street that runs through the town. There are side streets, but really, not much is going on more than a few doorways down on either side of the main drag. There is an upper town and a lower town, with an ancient clock tower bisecting the two areas. Sophie’s place is right next to the tower! So not only is it the most adorable flat in the most adorable town, but it is situated exactly in the middle of everything. At lunch on Saturday my friend Fran asked me what the ONE thing was that I loved most about my trip. Well, that’s so hard to say, but finally – it was being in that flat in exactly that location that formed the foundation of this wonderful trip. Our rental included a good Wi-Fi connection plus a bright, cheerful kitchen stocked not only with dishes and cutlery and pots and pans, but also pantry staples like salt and pepper and sugar and olive oil. Things you need to cook with, but would never use up in a week or so if you had to go out and buy them all yourself. There were stacks of fluffy white towels, some laundry soap for the washing machine, comfortable beds with crisp, clean sheets. I would say these are the basics you can expect from a really good, well-provisioned vacation rental. However, our dear Sophie went far beyond “really good.” She also left us coffee, cream, orange juice, cookies, pasta and pasta sauce – and much more. If you are very, very lucky, as we were, your landlord might come CLOSE to doing what Sophie did to make us welcome. Upon arrival, she carried our suitcases up to the flat then invited us for a walk around town to get our bearings, introducing us to her cousins at their winery, to her favorite boulangerie (bakery with bread as its primary offering), and pointing out a couple of the best places for pizza (the local tarte flambe – yum!) and fine dining. The next morning she took Sue on a hike up the hill (little mountain? I dunno; too steep for me, though) to explore the ruins of a castle. Sophie was, and is, one in a million. But one potentially great thing about these rentals is that you will definitely have some degree of interaction with the owners. If you are friendly and they are friendly, there could be the opportunity to learn about local highlights, as we did with Sophie, and possibly even to make a new friend. I’m sure there is the odd landlord-from-hell out there, but I hope neither you nor I ever runs across him. We were so grateful for Sophie’s hospitality, Sue and I wondered what we could do to express our appreciation. I checked online, and the consensus seems to be that you would not want to offer a monetary tip to an Airbnb or VRBO host. It’s just not appropriate. However, if you would like to do something, it would always be nice to leave a gift like a bottle of wine or chocolates. More the kind of things you would give to your hosts if you’re a guest in their home. We found a gift for Sophie that was something kind of fun and useful to add to the apartment, and then we treated her to dinner our last night in Ribeauville. I sincerely hope we will stay in touch and I know Sue and I will never forget her kindness and hospitality. 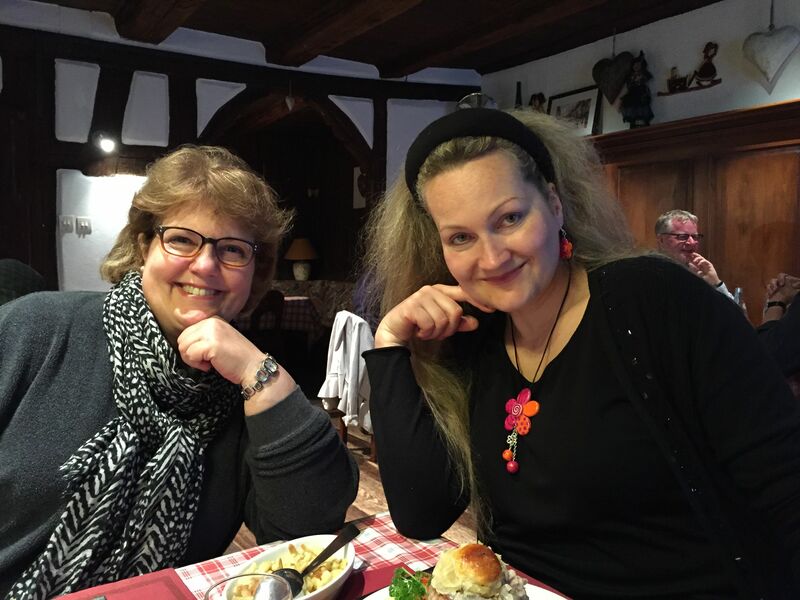 My wish for you is if you choose to rent a car and stay in a rental property for a trip anywhere – that you are fortunate enough to connect with someone as special as Sophie, and in a town as unexpectedly delightful as we found Ribeauville. The most adorable landlord with the most adorable flat in the most adorable city in Alsace. Next time I will tell you more about my “happy place,” Ribeauville. Until then, à tout à l’heure and have a wonderful week! 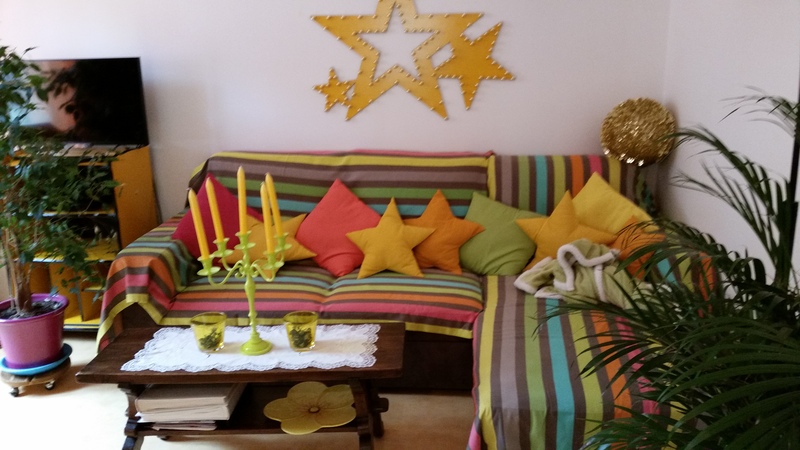 This entry was posted in Travel and tagged Airbnb, Alsace, Colmar, France, Jane Gassner, Papavero Villa Rentals, Ribeauville, VRBO. Bookmark the permalink. Well Kate, reading your “entries” is such a smooth and entertaining experience. Look out Rick Steves, here comes Kate Mahar. Let’s find someone who can market your work so you can retire from event planning and become wealthy from travel writing….thank you. I love AirBnB too. We used them for our trip to Puerto Rico. The value compared to hotels is astounding and the travel is a much richer experience. Hope to see you soon.